BBC journalists will strike on March 18 unless the corporation agrees to end compulsory redundancies, the National Union of Journalists has announced. The union said workers will pursue the one-day action unless talks between the two sides next week resolve a dispute over jobs. Union officials said the Government was planning to attack hours, holidays, sick pay and flexible arrangements under a review of working conditions announced last year. 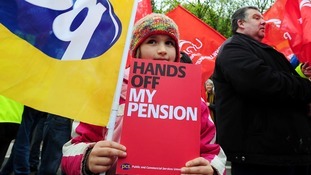 PCS general secretary Mark Serwotka said the lives of civil and public servants were being made more difficult by cuts. The Government is facing a fresh strike by civil servants after a union announced it is balloting 250,000 of its members in a row over pay, pensions and working conditions. The Public and Commercial Services union (PCS) warned of a series of walkouts across England, Wales and Scotland, adding that it would seek support from other unions about co-ordinated action. Voting will start on February 8 and close on March 4, raising the threat of pre-Easter stoppages. GMB suspended threatened strike action earlier this year over the introduction of new rosters which the union said would have led to a reduction in incomes of members after the company agreed to enter talks. Talks broke down last Friday. GMB organiser Gary Pearce said: "GMB negotiators have been in talks to reach an agreement to resolve this issue since the agreed suspension of the strike action scheduled over Easter. "It is a shame that Swissport has made and then withdrawn a number of proposals including a return to the original four-days-on and two-days-off roster which would have settled the dispute. The proposals were withdrawn last Friday." Stansted airport is set to be hit by seven days of strike action by ground staff belonging to the GMB union. The action, by staff employed by ground service company Swissport, includes stoppages over the Queen's Diamond Jubilee bank holiday weekend at the beginning of June. The first of the stoppages, in a dispute over rosters, will be from 5.30am on Wednesday to 5.30am on Thursday. There will also be strikes from 5.30am on Saturday until 5.30am on Monday May 28 and from 5.30am on Saturday June 2 until 5.30am on Wednesday June 6. The June 2-6 strike includes the two Jubilee bank holiday days of Monday June 4 and Tuesday June 5. Today has been a fantastic success and there will be more strikes in June, at the end of the summer, the winter, next spring and on and on and on. We need to make it clear that the coalition of resistence we have with groups such as students and senior citizens is generating momentum. The PM's spokesman said: "Clearly, we think the industrial action is unnecessary. We have set out our proposals for reforming public sector pensions. "We think they are fair, we think they ensure that public sector pensions remain among the very best available and they mean we can sustain that system into the future. "I think most people recognise that the Government has to deal with the financial situation it is faced with and that that means taking some difficult decisions to cut public spending."